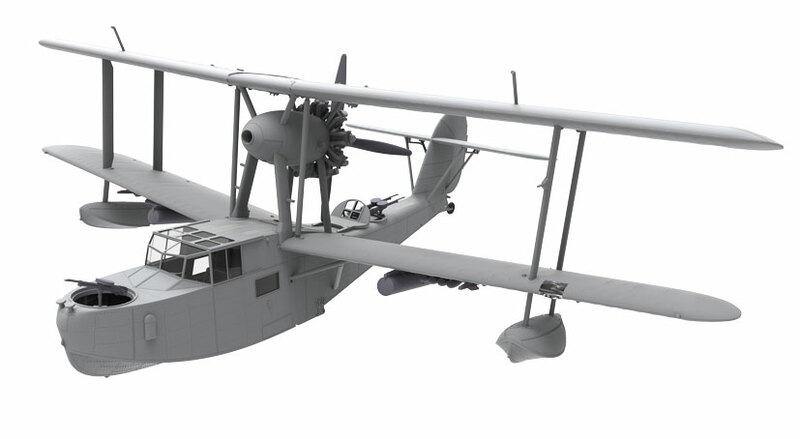 December 2016: Hasegawa have just announced a brand-new 1/72 scale Kawanishi H8K 'Emily' flying boat and judging by these views of the first test mouldings for the kit, then it will be highly sought after when released in 2017. 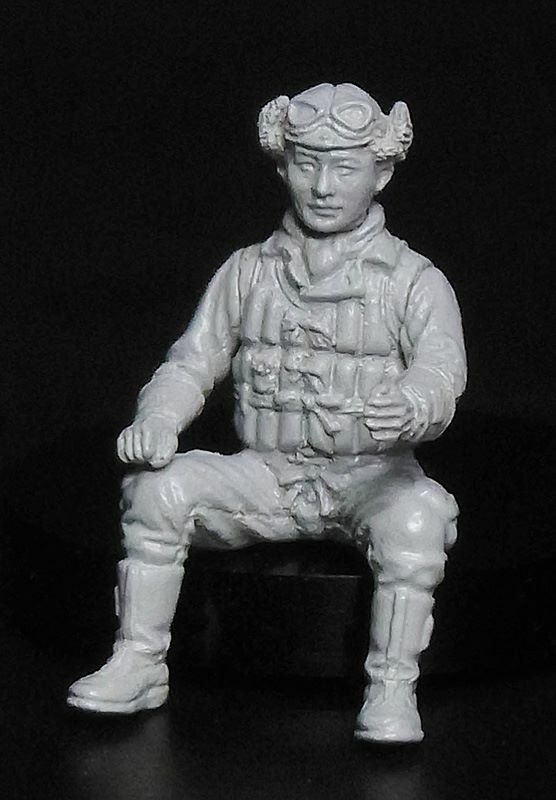 Replacing the existing earlier 1/72 scale model, Hasegawa have taken this moulding into state-of-the-art realms compared to the old one. That said, it has always been the 'only game in town' up to this new offering and is still a very accurate offering rewarding careful building once the 'dated' rivets and imprint of the wing and hull hinomaru placements have been removed. 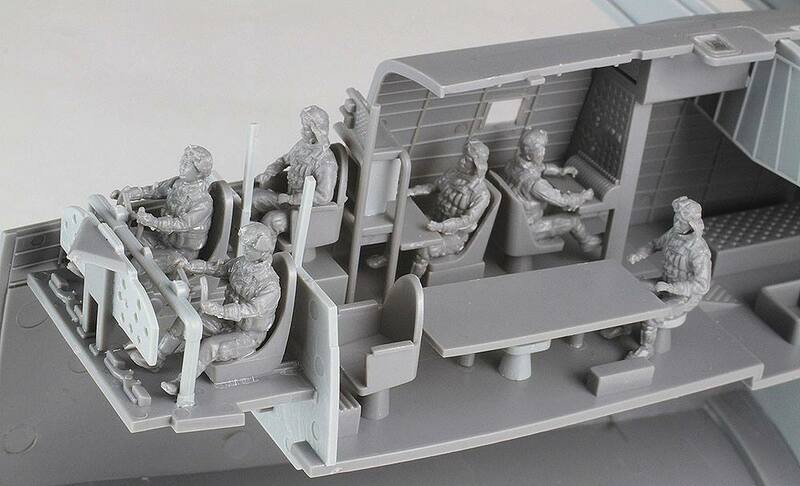 But this kit is looking to be something else, especially with the interior details and the lovely crew figures. The front end certainly looks 'busy' in this shot and there will be the need for very careful masking of that canopy. 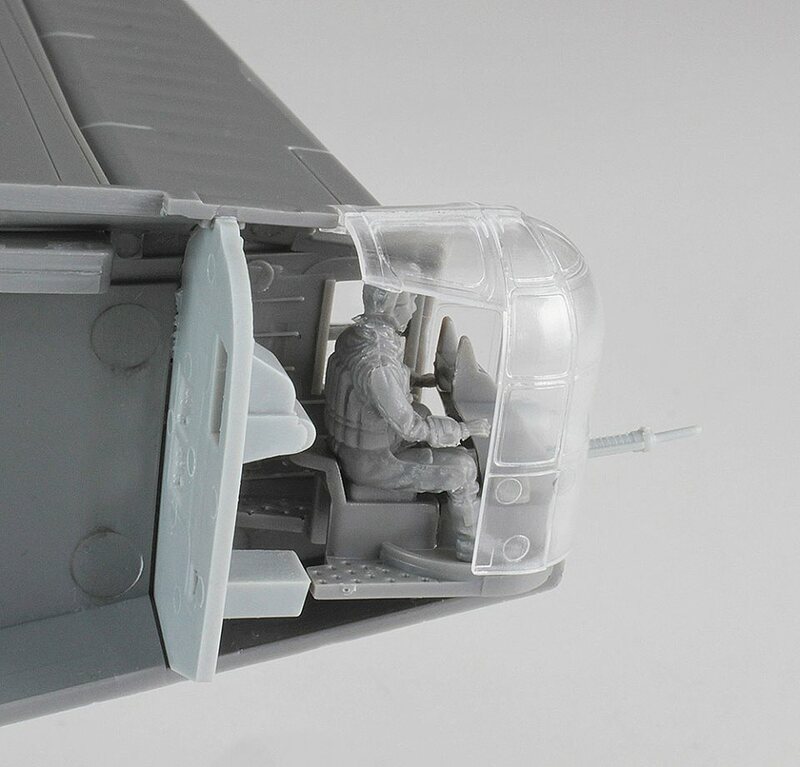 It's nice to see that Hasegawa have taken some thought about how to fair-in the canopy to the hull and have appeared to allow the joint to be clear of the actual glazing so that sanding can be carried out without scratching the 'glass' areas. The mid-area of the hull interior looks quite detailed bearing in mind that as is usual in these cases virtually nothing will be seen once the hull halves are closed up! 1/72 scale engines look good however, those props look far too 'fat' to me compared to the walk-round images in the SEAWINGS 'Emily' Gallery taken of the only restored survivor on display in Japan. Hopefully, the manufacturers design team will take account of this before it's released. Beaching gear looks good. Here's a good idea, full-depth wing spars to hold the large wing sections in place. That looks like it will make a solid-enough structure to me! Here is a view of the upper port-outer wing section showed delicate detail that will repay careful building and painting. Notice the sculpting where the fabric sections of the wing are; this matched perfectly in my view the same areas shown on the walk-round images. Lovely..! 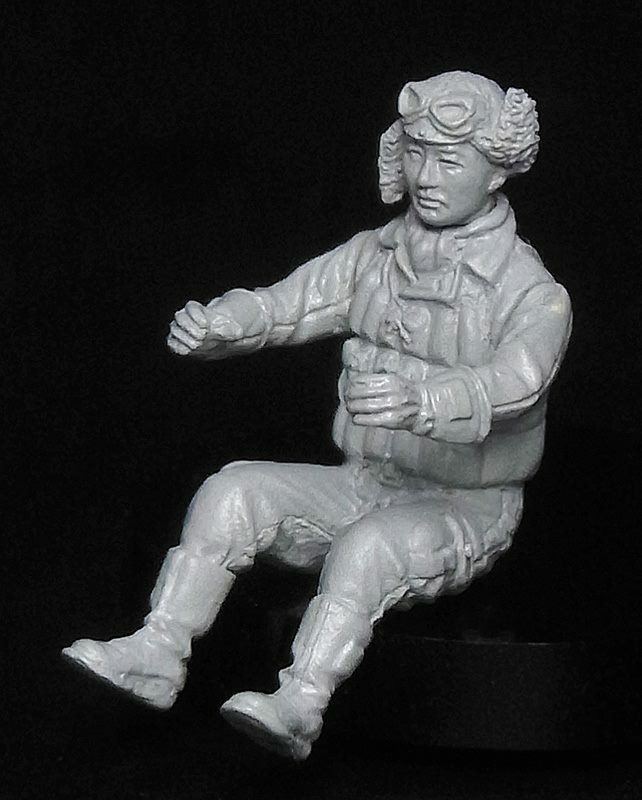 For those modelers that want a full crew, Hasegawa have obliged as seen here. 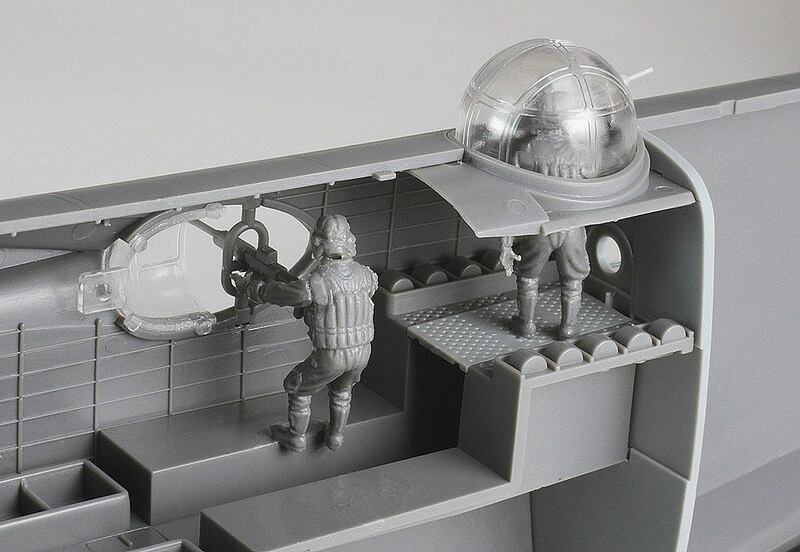 The cockpit area certainly carries more accurate details than their original 'Emily' however, once the cockpit glazing is masked and painted only limited visual access will available in this scale, of course. But, it's nice to know it's there..! Even the tail gunner's position gets some decent interior detailing as well as the gunner crew-member himself, and the gun looks good too..! Note the sturdy tailplane attachment stub in the top-left of the picture; that will make for a strong joint for the tailplane halves. 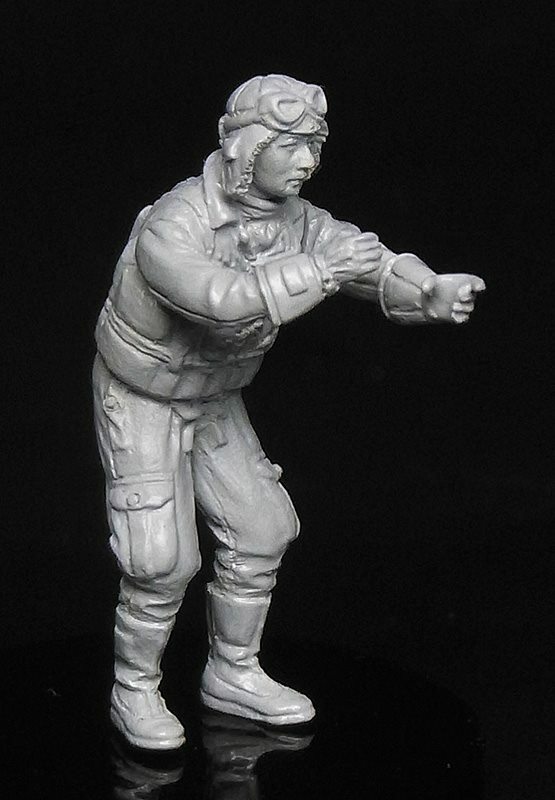 And finally, some close-up shots of the some of the crew members; and remember this is 1/72 scale! You would be forgiven if you thought they were 1/48 or larger. That's cool work on the part of the kit designers. So, there you have it; a 'taster' of what is to come in 2017. The good news is that there is plenty of reference material on this site for the model builder and more to come as we get close to the release date in the way of detail photo's, plans and drawings. It's going to be worth the wait by the looks of it, I just wonder what the retail cost will be? 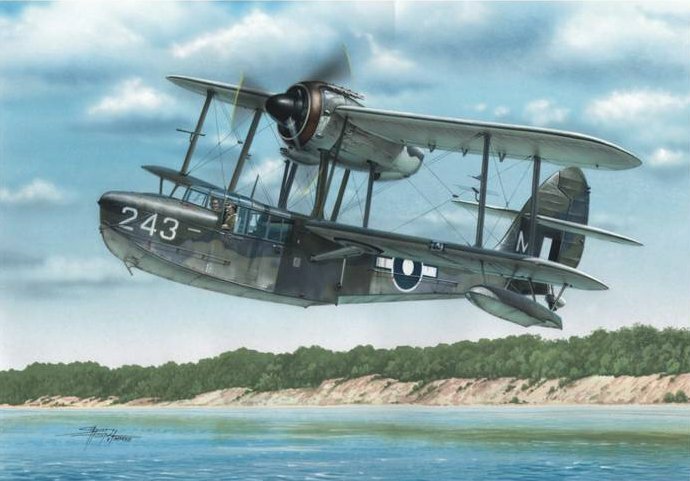 Just announced is a brand-new 1/48 scale kit from Airfix is the Supermarine Walrus Mk.I..! 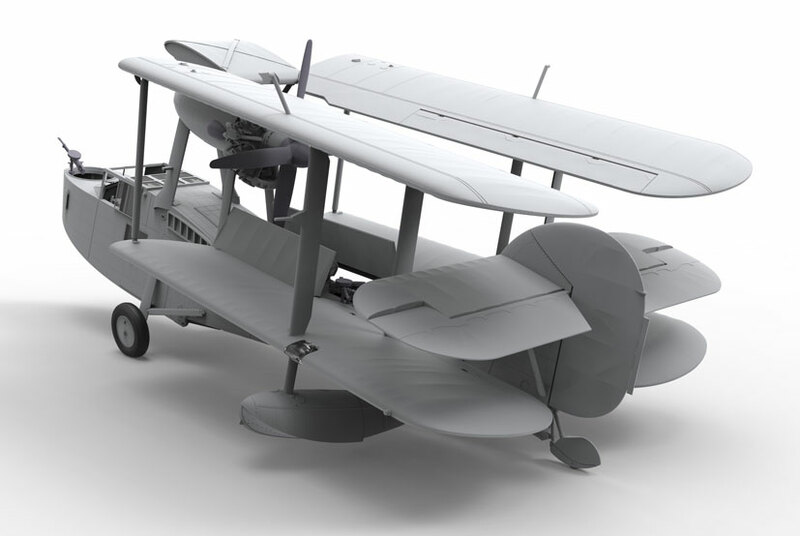 Judging by these views of the related design CAD drawings for the kit, then it will be a highly detailed winner, especially with the option for the folded wings. Just what us modelers wanted, and with what amounts to a full interior as well looking at the image below. Airfix themselves had this to say on their website about the coming release: "Despite the undoubted success of the Supermarine Walrus during its illustrious service career, it could certainly not claim to be held in the same regard as its famous fighter stablemate, which went on to become one of the most significant aircraft ever to take to the skies. It does, however, remain as one of the more interesting aircraft of the Second World War and deserving of much more affection. 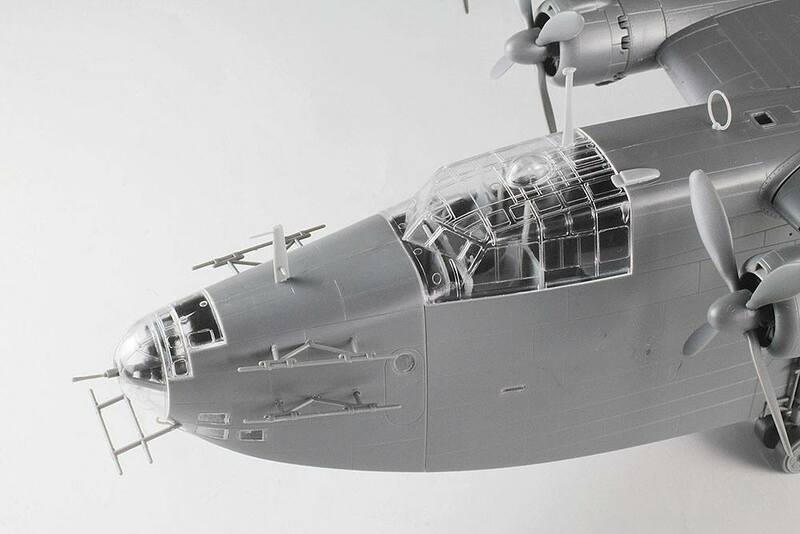 With this new model being produced in the larger 1/48th scale, it has allowed the Airfix research and design team to incorporate a superb level of detail and innovation into their new tooling, which will surely bring this impressive aircraft to the attention of many more people. 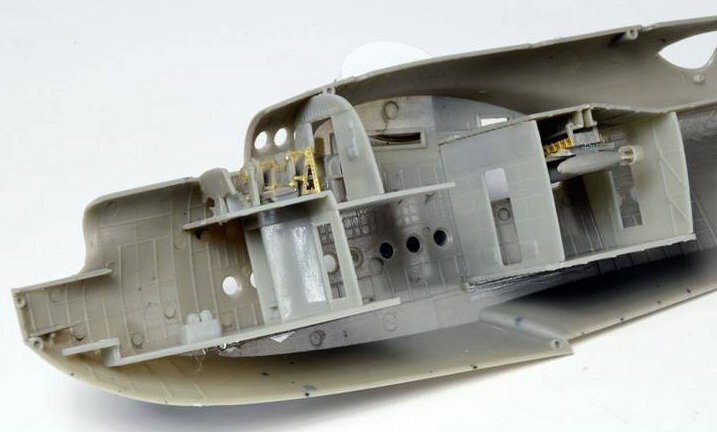 Looking at the design of the Supermarine Walrus, it is clear that this particular project was going to be a challenge for the Airfix team. 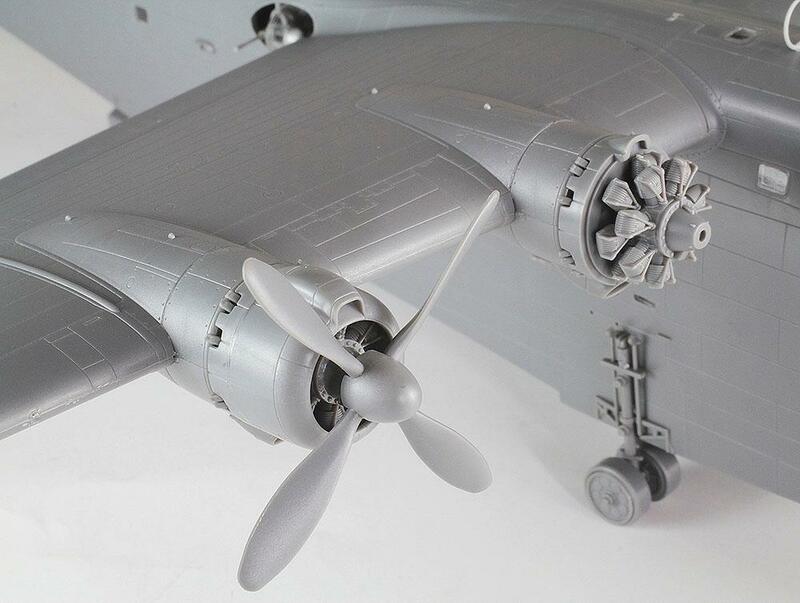 The distinctive and relatively complex design of the aircraft was to be reproduced in 1/48th scale, which dictated that much more of the finer details would have to be incorporated. The research team had access to original Supermarine plans and technical drawings, which would form the critical basis of the project. This would be augmented with the opportunity to inspect, measure and photograph three examples of the Supermarine amphibian at separate locations around the UK". They continued, "The Airfix research team were allowed special access to all three of these magnificent aircraft and we would like to place on record our grateful thanks to the fantastic people at the RAF Museum Hendon, the Fleet Air Arm Museum and at Vintage Fabrics Limited for their kind assistance. The huge amount of photographs, measurements and drawings were then collated to assist the designer in creating a CAD Base Model of the aircraft in the necessary scale. After much reviewing of the shape and accuracy of this model within the team, the designer then begins the painstaking work of creating the model’s individual parts, all referenced from the base model. The parts must be split in such a way that they can be tooled for injection moulding. Once the model is divided into parts, each part can have details applied to give the final kit more realism. 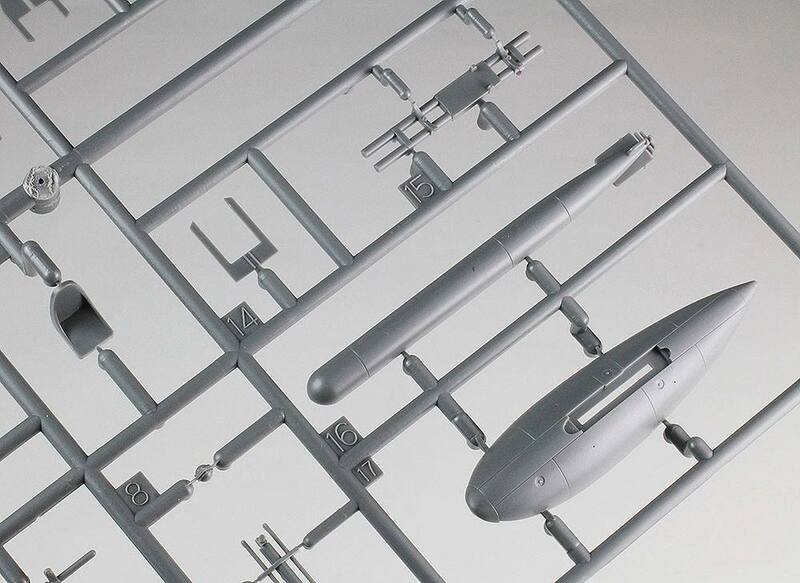 All this is carried out in Hornby Hobbies’ parametric CAD modelling software which allows the designers to see the model in wireframe, cross-sections, or even exploded views. Importantly, this software allows the designers to visualise how each part will locate to others, all in order to make the kit a pleasurable build for the modeller. 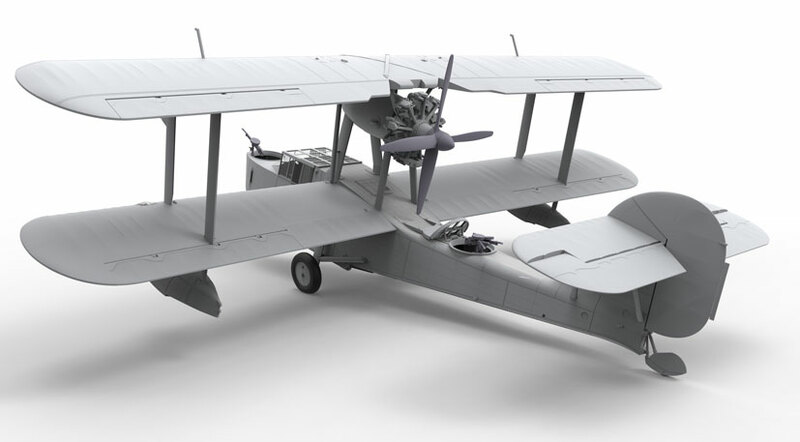 Taking its place in an ever expanding line up of 1/48th scale aircraft models, the Supermarine Walrus will surely be a much loved addition to the Airfix range". "Without doubt, the most significant stage in the production of a new model tooling is the release of the computer rendered 3D images that modellers love to see so much. 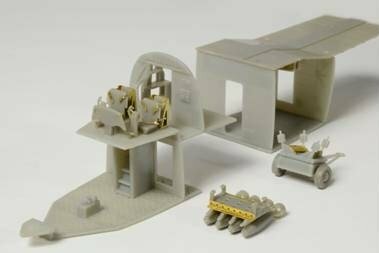 When these attractive images are published, it indicates that the project is real and gives modellers a good indication of how the new model will look when it is eventually under construction on their own workbench. 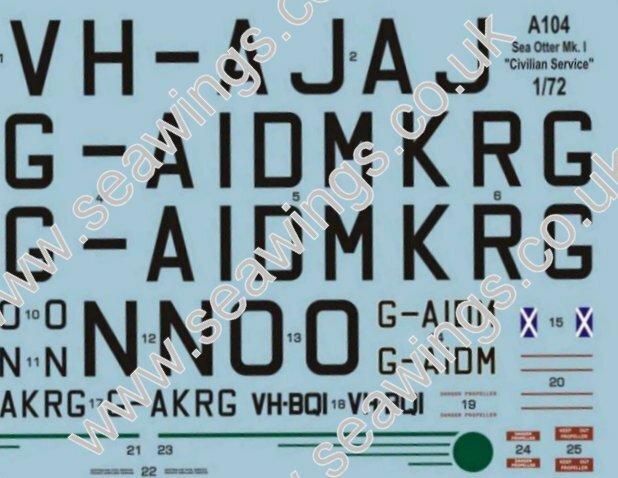 For some time now, these images have been used in Airfix catalogues, within Workbench and in modelling magazines and have become some of the most popular future tooling imagery with our readers. With the Walrus being a particularly impressive new model, we are including quite a number of these appealing images, just to whet your appetite a little for what you can expect in 2017 – enjoy!" 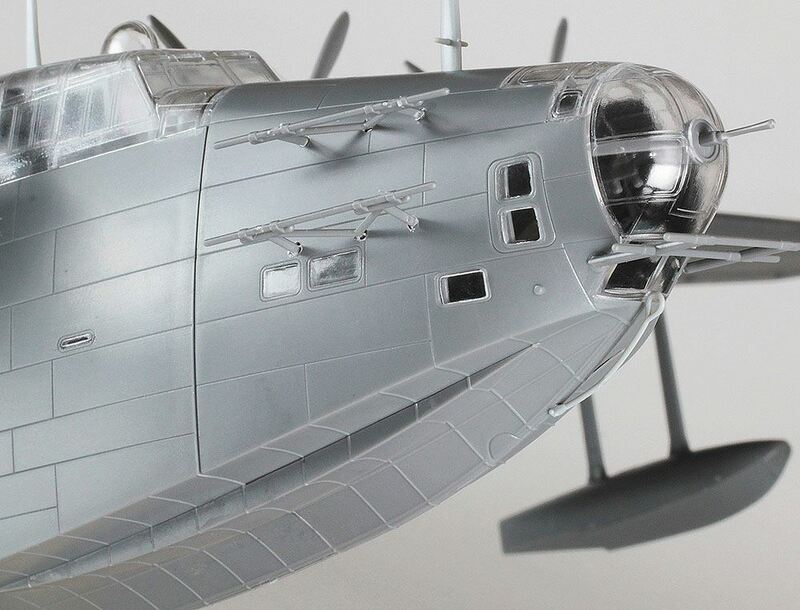 "The magnificent new 1/48th scale Supermarine Walrus Mk.I is very much something to look forward to. 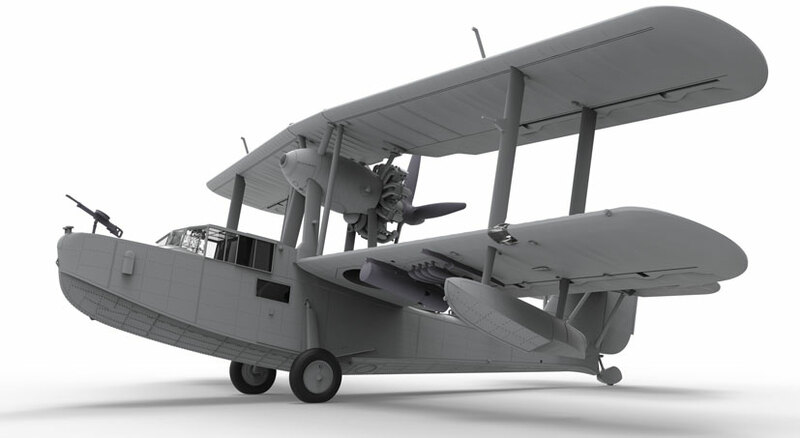 The impressive size and detail of this new model will ensure that another Supermarine design will be amongst the most popular releases in the Airfix range and serve to mark the aviation heritage of one of Britain’s most famous aircraft designers. 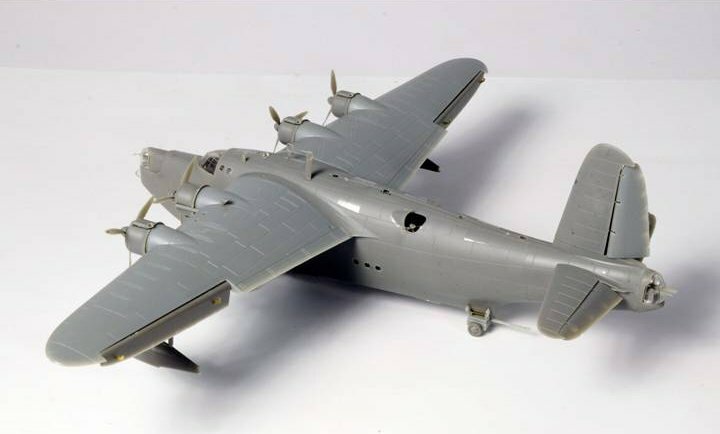 Although they look so completely different, the Walrus would look great displayed next to a 1/48th scale Spitfire. We are very much looking forward to bringing you regular updates from this magnificent project over the coming months. 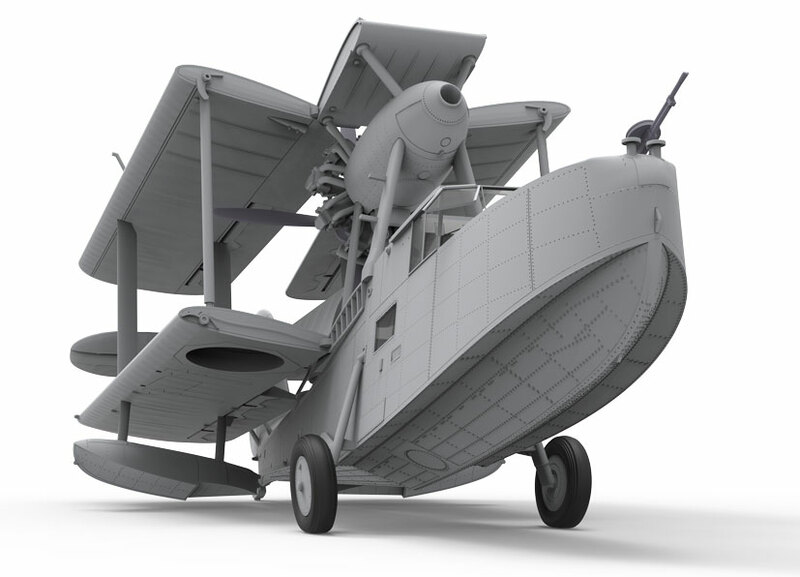 A09183 Supermarine Walrus Mk.I 1:48 is due for release in July 2017 - be sure to sign up for the Airfix email newsletter to be the first to hear when this model is available for pre-order". So, there you have it straight from Airfix. And, looking at the details contained within these CAD views one can see it mounted on a catapult, sitting on deck, hangared, etc. the diorama ideas will just flow so easily with this 'boat! And of course, there is a huge amount of Walrus reference material in various galleries on this site; walk-round photo's, contemporary photo's, ship-borne photo's by vessel, colour profiles, Maintenance Manual drawings, scale plans and much more, so you will be able to easily source all that you require for your model, and completely free of course! This is a project that we can all watch with great interest through to July next year and I know I will be one counting off the days until then..! 1/72 scale highly detailed injected and resin kit of the SARO A.19 Cloud with multiple choice quality decals. Click image for more details. At last...! 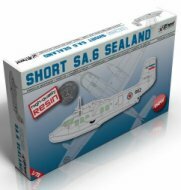 Brand New 1/72 scale Short Sealand by Lift Here!Serbia. Click image for more details. 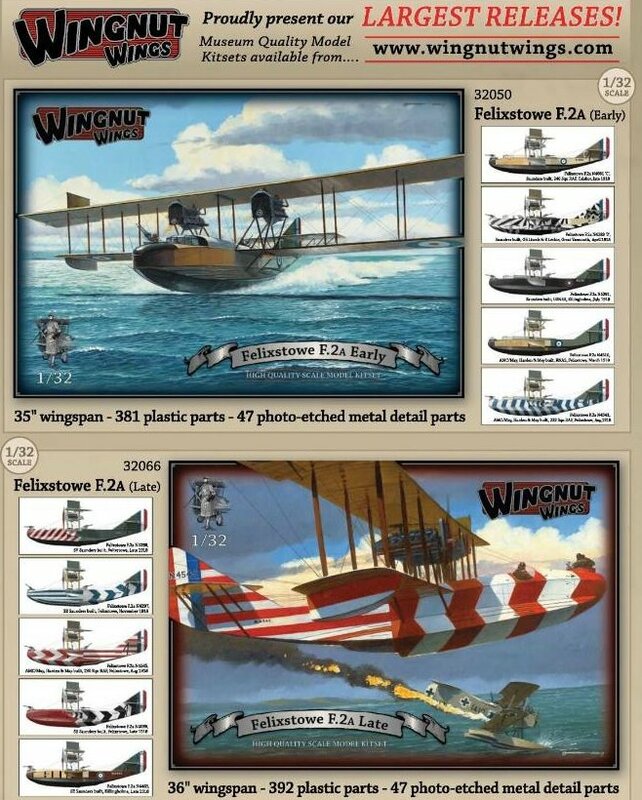 Wing Nut Wings have just announced the magnificent Felixstowe F.2A in both 'early' & 'late' versions as their 'Christmas surprise release' to join their ever growing range of superb 1/32 scale WWI kits..! O.M.G...! Of any kit, in any scale, I have personally ever dreamed of building, this is 'The One' - this is the kit that I have waited my whole modeling life for - my 'Holy Grail'.... I could go on, but you get the picture! I'm like a kid in a candy shop writing this! The kit price has not been announced yet but the internet forums are suggesting $200USD -ish, around £175.00GBP approx. But, if this is the kit you have waited for then I suppose price becomes just a hurdle to get over; mind you, it's BIG with a wingspan around 36" and a length of 17"+, so you are going to have to think carefully where you are going to display it. WNW seem to have recognised this and claim to have made the wings somehow detachable for transport and storage - that will be interesting. Just look at the detail in the forward hull photo release above; stunning, just stunning. 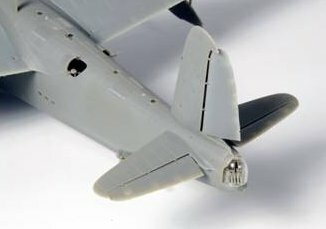 The magazine and internet website reviews are going to have a field-day with all this detail and, if the WNW 1/32 aircraft builds to-date are anything to go by in various magazines and websites then there will be a mountain of painting and detailing tips and tricks to come our way as the builds are rolled out. This type of kit has it all; rigging, wood finishes, weathering, minute details, magnificent colour schemes: I personally can't wait! 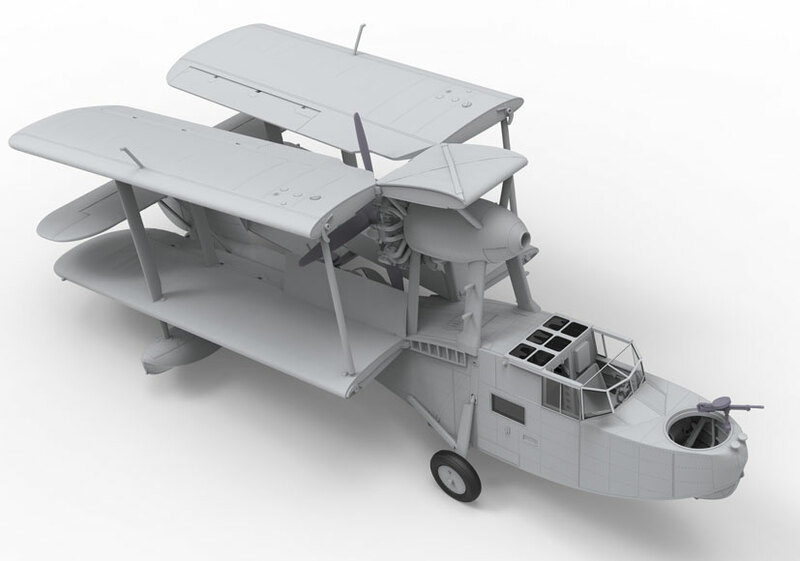 SEAWINGS will re-vamp all the Felixstowe F.2A reference material from the archive and set-up a one-stop click on this site so that any modeler requiring it can source it easily. Mind you, there isn't the sort of level that we would expect to see on other types today - don't forget this 'boat emanates from a by-gone era - 1918 - and there were no colour cameras, no computers, etc. 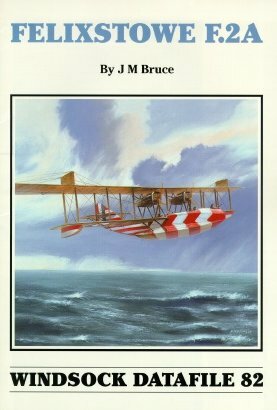 reasonably possible; alas, the Felixstowe edition has been out-of-print for some while, but Ray has informed me that he is going to re-print this volume especially for the kit release - great news! Some copy original structural manuals still exist together with black & white contemporary images and others still turn up from time-to-time, so it is possible to put together enough material to do this kit full justice. Click the magazine cover above to go to Ray's Albatross Publications to order. The colour schemes, especially for the 'late' dazzle painted versions, are simply magnificent and will be quite demanding I would suggest to apply. But, even the 'early' version showing all the un-painted 'naked hull' will be a challenge, and if done carefully will look spectacular in its own right. So, there we have it for now; WNW will advise when the kit is for sale, I know certain individuals have received pre-sale kits for review (No, not me...) so I can't wait for the next couple of months to see how it all develops. And, then there is the aftermarket accessories - no, surly not more detail is possible - is it? How about a diorama? Better build a bigger 'modeling den' then....! WNW can be contacted by clicking here. 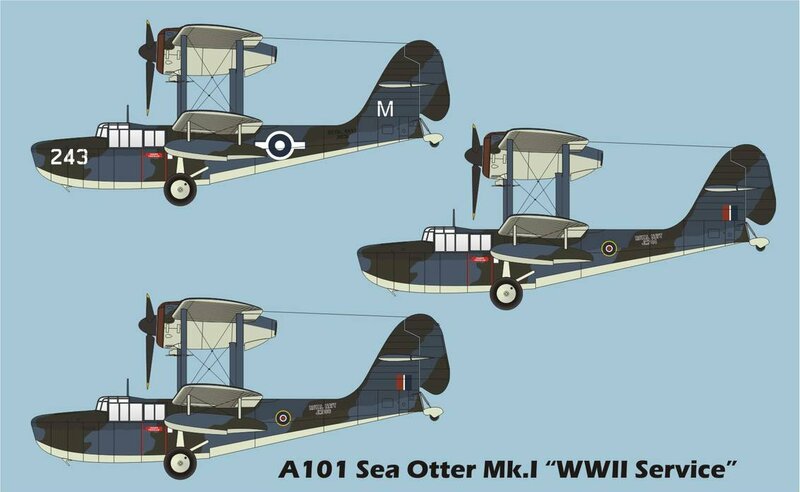 MPM have just announced a pair of Supermarine Sea Otter's in 1/72 scale, this example being one of them. Kits of this type have been very scarce over the years, the only other one that springs to mind being from Aeroclub many years ago, but it is now extremely difficult to get hold of. This brand-new kit contains four sprues with grey injection moulded plastic parts, together with resin and photo-etched parts. Compared to their other models Cat.No. A047 & A090 a more detailed Mercury engine is included. MPM can be contacted by clicking here. 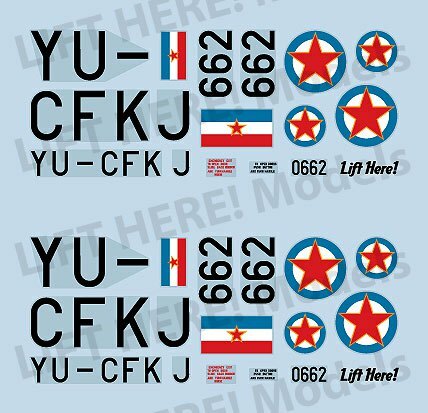 ABOVE: three decal options are offered, including an aeroplane of the Pacific Fleet photographed in the just liberated Hong Kong of 1945, while the other two machines depict aircraft serving at stations in Scotland in 1944. BELOW: a sample of the sheet itself showing plenty of stencils and walk-way 'foot-markings' all in perfect register. Roundel colours look good too. 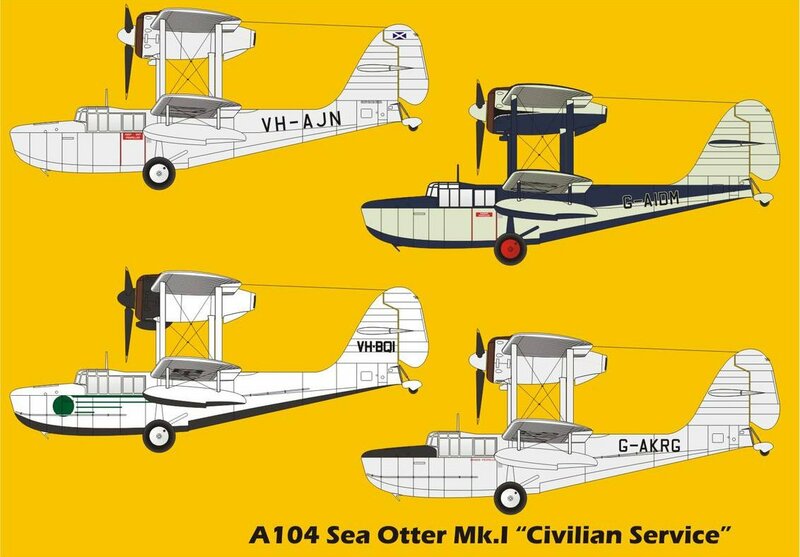 This is the second release from MPM, a very pleasing civilian version that will sit very well with some of the latest releases from other manufacturers of late, making a nice addition to a civilian-themed flying boat collection. There is a wide choice of markings as you can see from the artwork below. ABOVE: the finish options as noted in the MPM Press release. It's coming......! 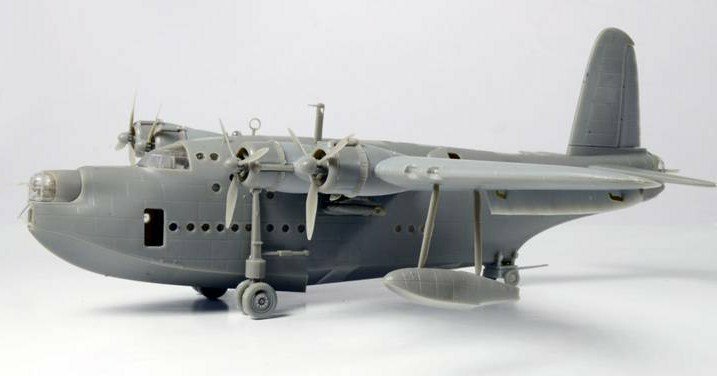 Here are the first images of the initial test-shot build-up of Italeri's 1/72 scale Short Sunderland Mk.I, at last the answer to the vintage stalwart Airfix kit from nearly fifty (yes, 50!) years ago. 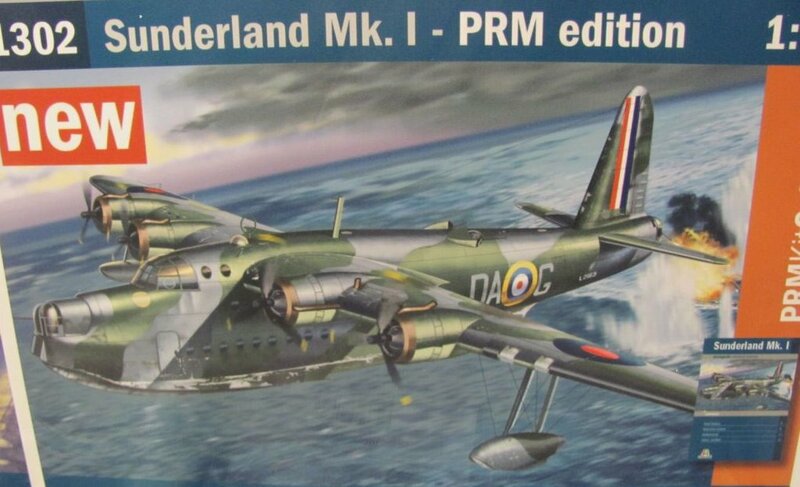 Well, sort of as the Airfix kit was a Mk.III, not a Mk.I so this kit carries the distinction of being a world-first; the very first Sunderland Mk.I ever kitted. 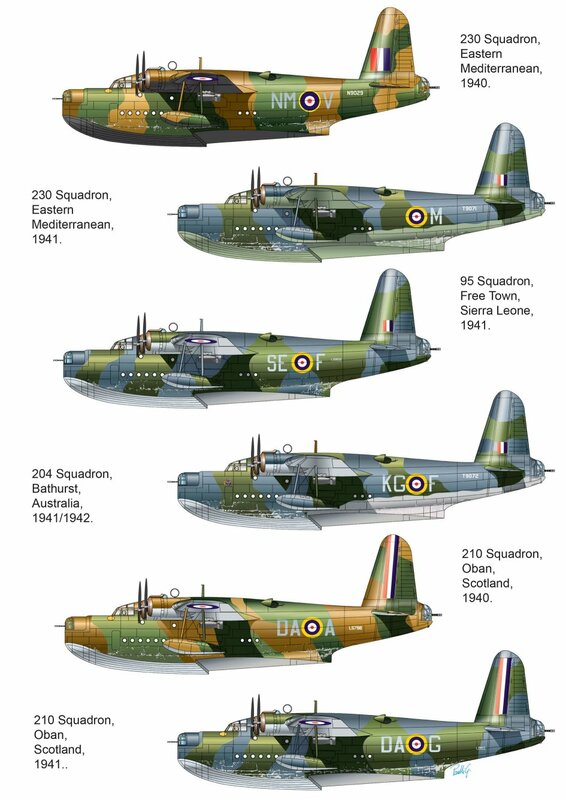 The flying boat scale modelers, enthusiasts and 'nuts' are anticipating this kit with fingers crossed; I know I am. 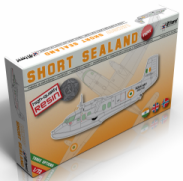 We have waited so long for a replacement to the Airfix kit, but is this it? I'm not going to make a hard-and-fast judgement here as this is the first time I have seen these images, like you, and like you I can at this moment only comment on what I can see before me. So, what do I think so far? 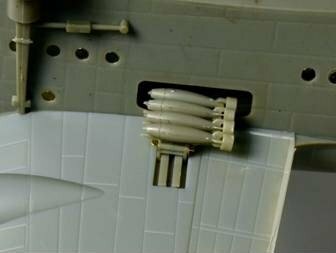 Well, some thoughts have bounced straight into my flying boat - model kit - brain straight-away; for instance, the float struts look a shade too long and gangly, the tail fin looks too upright and there are loads of ejector-pin circles within the interior of the forward hull that will prove a right pain to eliminate. 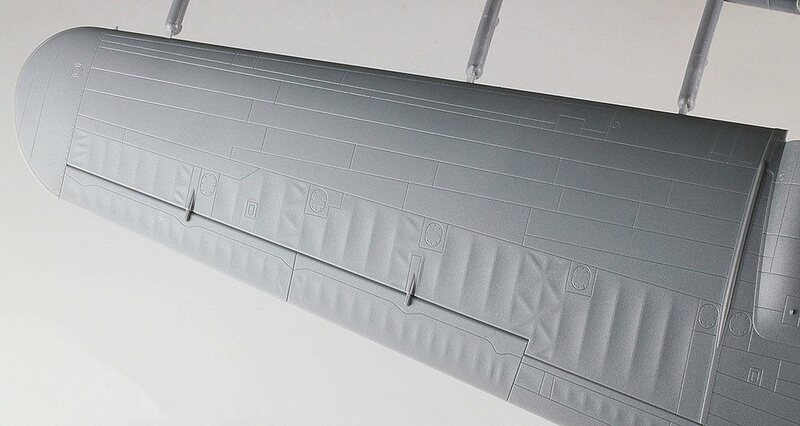 The exterior panel lines look very, well, panel-like, but over width and leaving the airframe looking like a ship's hull rather than a flying boat but that could well disappear under a couple of layers of undercoat paint and eventually look quite respectable. I hope so as this example is looking like it's made from boiler-plate! Looking at the real thing, the hull contains thousands of rivets delineating the various panel lines, not 'lumpy' panels themselves. Very difficult to get right. It certainly looks like a Sunderland Mk.I to my eyes; the upper gun positions appear to have been dealt with satisfactorily, as has the rear turret, but shouldn't there be a small window set in the hull directly forward of the turret at the 10 o'clock & 2 o'clock position? It was certainly there on early Sunderlands. As to the interior images, there is a lot of work still left to be accomplished here if one is going to set the front turret back and leave the port entrance door open. The forward area is missing vertical ladders (but they may still be part of the kit, yet not used in this test-build) and the wardroom is missing its floor, and the toilet area is missing a bulkhead. I think it is invidious to continue too much in trying to interpret thoughts from these images so I'll just say that I welcome this kit with open arms; if there are errors with it, I do hope Italeri will take a look at the surviving examples, the scale plans and the myriad number of photographs that exists of this iconic RAF WWII flying boat and try to correct them before it is issued in September. After all, with the references available for this particular 'boat, it can't be that hard to get it wrong, can it? Casting my eyes over the images, I have noted the photo-etch additions for the cockpit and the depth-charge racks. One of the notorious issues with any Sunderland kit is that it is extremely difficult to see into the cockpit, and beyond, due to the small size of window glazing, so what you see here should be more than enough for the casual viewer. 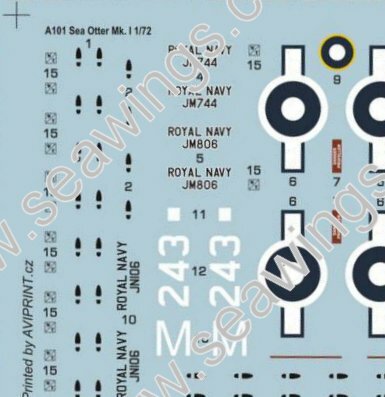 However, I can't help wondering just how well White Ensign's photo-etched interior sets - originally designed to fit the Airfix kit - will adapt to fit this one, thereby rendering the injected internal floors and bulkheads redundant? ABOVE: the finish options as noted in the Italeri Press release. 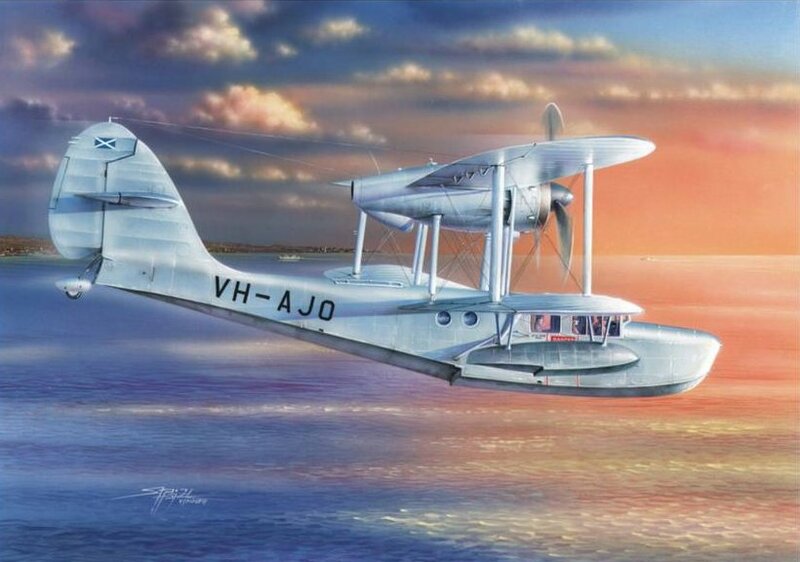 The 4th subject down has been erroneously noted as 'Bathurst, Australia' whereas in actual fact this flying boat base was located in Gambia, West Africa. I know, I've been there! I suppose the only thing that surprises me with this selection is that there are no all-silver schemes from the immediate pre-war era. However, my guess is that when this kit is finally released the after-market decal manufacturers will have a 'field-day' and produce all-sorts of colourful schemes for it. Well, that's what I'm hoping for, anyway. 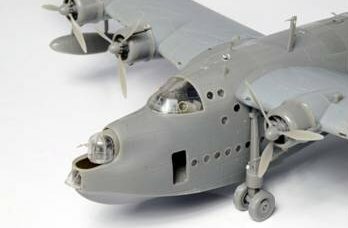 Finally, there is also a Sunderland in 1/72 due from MPM in due course, and how good that one is, and whether it is better or worse than this example, remains to be seen. 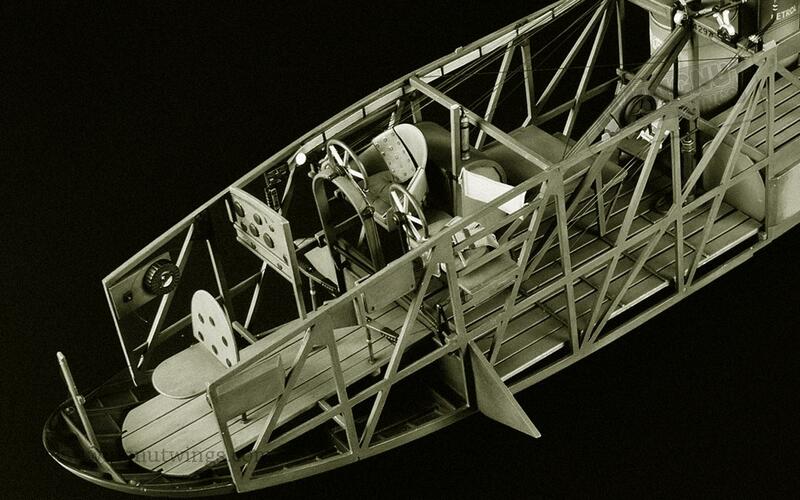 What one can say is that right now, flying boat modelers in 1/72 scale have never had it so good!